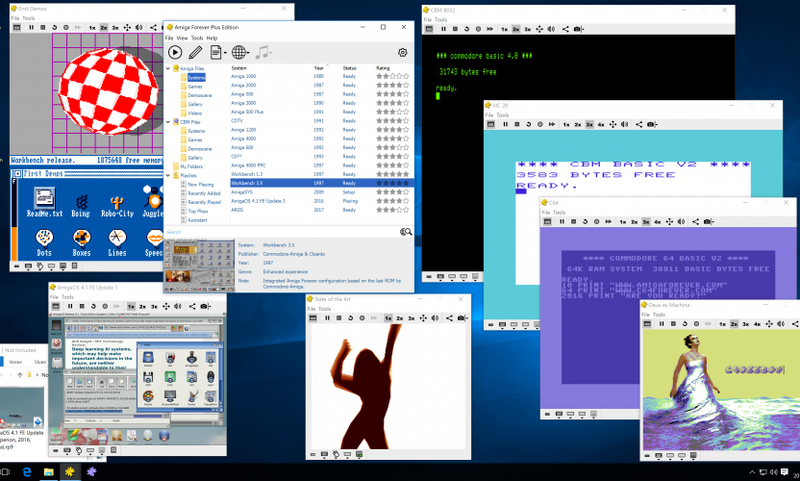 June 23, 2017 – Cloanto released today Amiga Forever 7 and C64 Forever 7, the latest versions of the official Commodore/Amiga preservation, emulation and support suites for Windows. The new editions are the result of more than 18 months of uninterrupted work since the previous major release. The active code base now consists of more than half a million lines written by Cloanto, in addition to OS components and independent open source modules of which Cloanto too is a grateful and active contributor. 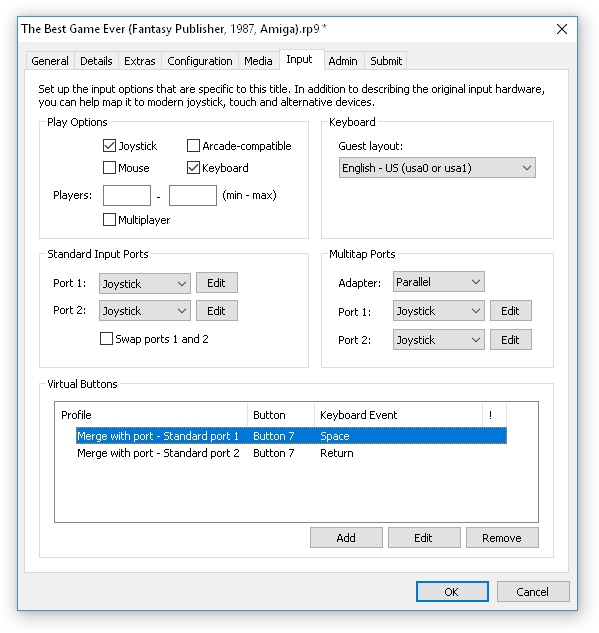 New features include the ability to autostart the PC into any Amiga configuration, enhanced PowerPC emulation support, custom content folders and playlists, and a “playerless” title playback, preview and editing experience. By opening up to new ways to manage and access more content, Amiga Forever 7 follows in the footsteps of Cloanto’s tradition of disruptive innovation. Emulation and preservation enthusiasts can not only work better and faster than before, but also enjoy additional degrees of freedom, as Amiga Forever encourages the curation of self-contained titles that are designed for long-term access, without being bound to a database or to a single player interface or version. Any title, no matter whether it’s a “Classic” Amiga, a PowerPC system, or an 8-bit system (with C64 Forever installed), can now be played back from Windows File Explorer, or by booting the Windows PC into it, without ever launching Amiga Forever, if so desired. 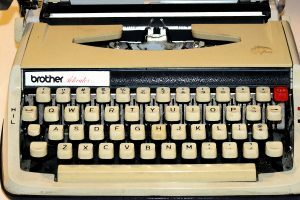 More than in the previous few versions, a substantial amount of work was done under the hood to keep things simple on the surface, yet without limiting possibilities. “We worked very hard to raise the quality bar on all fronts, no matter whether you use Amiga Forever for your own enjoyment, to entertain your friends by surprise-booting a PC into an Amiga or C64, or to start an educational journey with your children or grandchildren. General and title-specific input options work hand in hand to enable maximum personalization without unnecessarily reducing title portability, while providing precious information for future touch-enabled playback. Xbox, X-Arcade and I-PAC controllers, and arbitrary keyboard layouts are supported out of the box. Host-side buttons can be assigned to guest-side keys and vice versa, e.g. to use joystick-controlled games on modern systems without a joystick. 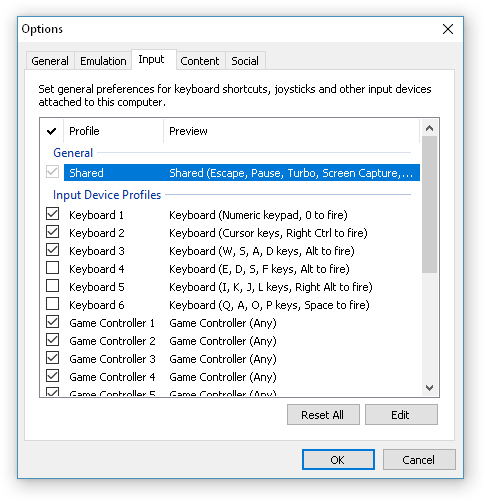 Virtual buttons make it possible to use modern controller buttons to trigger events that would have required pressing a key like Space or Enter in an Amiga game, or to play CBM 8-bit titles originally designed for keyboard-only use. Dead keys, double-dead keys, deadable keys, anyone? 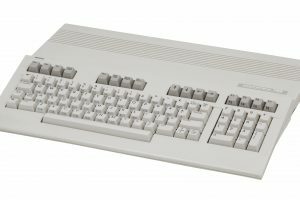 Amiga Forever knows about all those Amiga keyboard details, and seamlessly integrates them with the modern Unicode world, so that clipboard and keyboard input always work as expected. 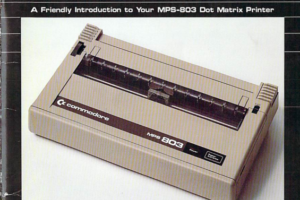 8-bit systems were not left behind either, with support for multilingual ROMs in C64 Forever, and systems like the VIC 20, VIC 1001 and C64 even featuring Japanese configurations.